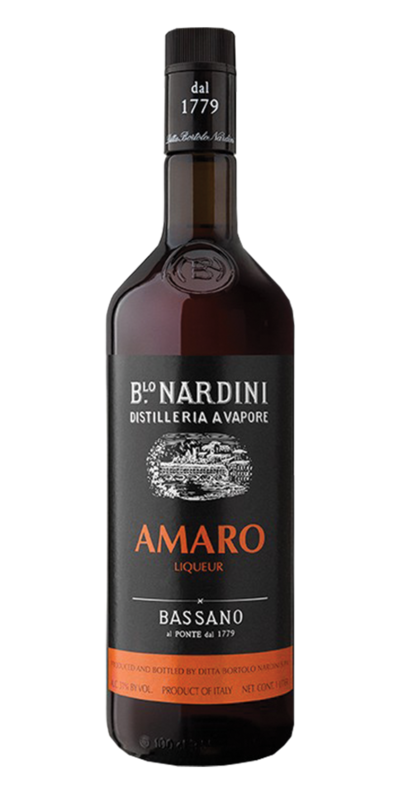 Nardini Amaro Aperitivo — Emporia Brands Ltd. This is a story that began a long time ago, in 1779 to be exact in Bassano del Grappa, the heart of the Veneto Region of Italy. Here Bortolo Nardini distilled his grappa, and the story of the Nardini Distillery began. The foothills of the Veneto plain that surround Bassano assure the distillery a constant supply of grape pomace, the raw material for grappa production, collected in September and October after the grape harvest and pressing for wine took place. From the end of the 1700s to the early 1800s distillation occurred by utilizing the traditional stills and the distillate was stored in copper vats. The long Nardni tradition is preserved through their products and has become a symbol of their homeland. Marked by a constant quest for perfection and artisanal culture, their legacy of over two centuries is conserved within each of the millions of bottles of grappa exported around the world. Balanced, citrusy, intense. Amaro Nardini is the perfect balance of flavours, with hints of liquorice from the gentian root, peppermint and orang, a variety of flavours, in perfect balance. Serve it straight, cold or on the rocks. Nose: Perfect balance between various components; intense fragrance of liquorice, mint and toasted sugar. Palate: Immediately minty taste with a pleasant aftertaste of liquorice and bitter orange.